While reading an older edition of an online newsletter affiliated with my networking organization, I ran across an article that stood out to me because it creatively compares networking to swimming and gives some useful advice on how to network successfully at events. Michael Goldberg, the author of the article, is a speaker and writer who founded his own consulting business. I’ve paraphrased his 12 very simple rules for successful networking (You may also CLICK HERE to read the full article). 2. Always equip yourself with business cards and a pen. 3. Network only–no selling allowed. 4. Be prepared to ask questions–about them. 5. Greet and introduce others with passion. 6. If there is a connection, ask for his or her business card. 7. Hand out your business card (when asked). 8. Have a buddy system, and help others. 9. Know your purpose, and only share it when asked. 11. Know when the conversation is over, and mingle with others. 12. Make a friend (or two), and have fun. To learn more about Michael, visit www.MichaelGoldbergspeaks.com. Networking is simple; it’s just not easy. If it were easy, everyone would do it and do it well… and people don’t! This not a blog piece about the step-by-step process you need to employ to network effectively. No, this is to get you to stop and think about all the articles, books, blogs, podcasts and audios that you have read or listened to and aren’t following. This is an article to get you to stop and think about what you should be doing rather than what you know (or should know). I do presentations around the world talking about how to apply networking to your everyday life. Sometimes I have someone come up to me and say, “I’ve heard people talk about some of those things before.” Hearing it for a year versus doing it for a year are completely different things. Success is about the “doing,” not just the “knowing.” In fact, I believe that ignorance on fire is better than knowledge on ice! The only thing more powerful is knowledge on fire. There are so many things in life that look simple but are, in fact, not easy. Cooking is one of those for me. It always looks so simple. My wife can go into the kitchen and put a gourmet meal together in 30 to 40 minutes. Then I get into the kitchen and burn water. Small repairs around the house–these things look so simple. Then I pick up a hammer and, well, it’s just not pretty. That’s when I’m reminded that I’m missing the”handyman gene.” It skips a generation in my family. My dad can fix anything. He’s incredibly capable with a toolbox. I’m not. When I was 17 he brought me into the garage and solemnly said to me, “Son, you’d better go to college, because you’re never going to make a living with your hands!” Good advice, Dad. Thanks. Golf. Looks simple, right? I’m not talking about professional competition, I mean just going out and smacking the ball around some grass. Looks simple. I’ve learned however, that it’s not easy. There are so many things in our lives that look simple but are not easy. Networking is one of them. It’s a skill. A skill that takes commitment and effort to learn and apply consistently. So I’m giving you an assignment (sorry, my inner professor is coming out). Your assignment after reading this blog today is to think of one idea in a book, article, recording–anything–that you’ve read or heard over the past year or so that you wanted to apply to your life but never got around to doing. Your assignment is to find that article, locate that “something” you wanted to do and do it within the next seven days. If it’s something you do on an ongoing basis, then find a way to incorporate it into your life and/or your business. All excuses are equal – just do it. Success is the uncommon application of common knowledge. You have the knowledge. Now apply it with uncommon commitment. It won’t be easy. But I assure you it’s simple. I was invited to a very unusual event recently. 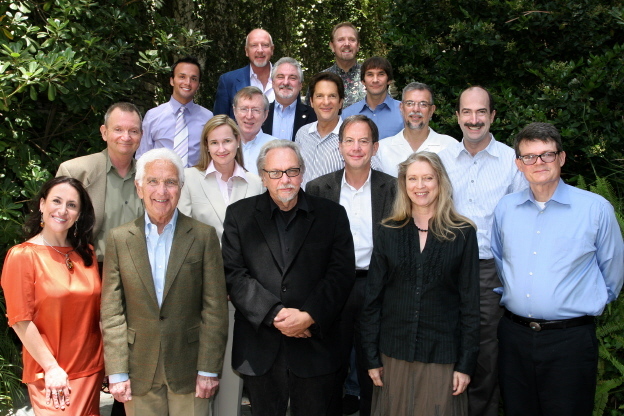 It was a meeting about “storytelling.” It was hosted by Peter Guber. Peter is an Academy Award-winning producer of movies, including Rain Man, The Color Purple and Batman. He is the past CEO of Sony Corp. and currently chairman and CEO of Mandalay Entertainment. Peter is clearly passionate about the power of “story” and considers it the “secret sauce” that has enabled him to achieve his success. Consequently, he decided to create an opportunity for a diverse group of experts to come together to exchange ideas–be inspired, enlightened and enriched–but, most important, to share stories! Peter invited about 16 people (including “yours truly”) along with individuals such as Warren Bennis–one of the world’s foremost experts on leadership; Keith Ferrazzi–author of “Never Eat Alone“; and Mark Victor Hansen–co-author of the “Chicken Soup for the Soul” series, as well as many other “storytellers” from various businesses, backgrounds and areas of expertise. Effective storytelling is an important part of one’s emotional intelligence. I’ve always believed in using stories to make a point but never really gave a lot of thought to some of the “hows” and “whys” of their effectiveness. There were a number of “take-aways” for me from this meeting that I would like to share with you. One of the best comments of the day came from Peter, who said, “what if” is more powerful than “how to” in a story. Very true, indeed. Getting people to think of the possible rather than simply look at the present can truly help make a great story. After spending an entire day talking about what it takes to make a good story, I verified the fact that it is very difficult to describe to someone “how” to tell a good story. However, you sure know one when you hear it! The number one thing entrepreneurs need to remember relating to networking is that people who take the time to build their social capital are the ones who will have new business referred to them over and over again. Based on a survey of more than 2,000 business profesionals (published in Masters of Networking), master networkers possess the traits listed below (ranked in order of descending importance). If you follow their example, you will master the art of networking, as well. See a trend with these 10 points? They all tie in to long-term relationship building, not to stalking prey for the big kill. The key is to build mutually beneficial business relationships. Only then will you succeed as a master networker. While attending the Kuala Lumpur Global Networking Conference for BNI in Malaysia last week, I heard a presentation that really resonated with me. 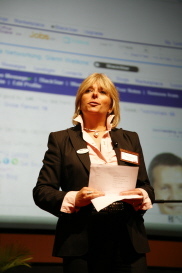 The presentation was given by Penny Power, founder of Ecademy.com. Penny is not only an extremely knowledgeable and successful entrepreneur but also a good friend of mine. Penny’s presentation focused on the concept of entrepreneurs “staying in their flame.” She explained that an entrepreneur’s “flame” is where he or she is the most passionate and excited about his or her business and where he or she truly enjoys what he or she is doing. When an entrepreneur is in his or her flame, work doesn’t really seem like work and the entrepreneur perceives his or her tasks as effortless. If entrepreneurs are able to focus on the aspects of business which keep them within their flame, it allows them to achieve their best. On the flip side, Penny explained that entrepreneurs can get caught up in aspects of business that don’t come naturally to them and that they aren’t good at. 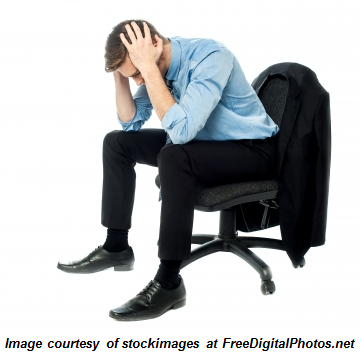 Working their way through such tasks takes away their energy and leaves them exhausted and devoid of passion. Entrepreneurs stuck in this situation are “working in their wax,” and they are not nurturing their full potential or doing what will allow them to thrive. The solution to this problem is that “your wax is someone else’s flame.” In other words, your weakness is someone else’s strength, someone else’s passion. As your business grows, the key to staying in your flame is to delegate the things you don’t like or aren’t good at to employees who actually enjoy doing those tasks and are great at them. Learn to recognize what kind of work keeps you in your flame and what kind of work keeps your employees in their flame because, as Penny says, “flamework” is infectious! I’m aware that it’s not just the networking die-hards who may be reading my blog, and I wanted to post something that I think is very important for networking newbies. (Don’t worry, it’s a good refresher for you die-hards as well.) When you’re just starting out in the networking world, finding a networking group can sometimes be intimidating and confusing, but it really doesn’t have to be. For those of you looking to join a networking group, here are some networking group basics. Casual contact networks. These allow many people from overlapping professions and meet monthly. Strong contact networks. Their primary purpose is exchanging referrals. They meet weekly. Community service clubs. They provide an opportunity to give back to the community you do business in while making contacts and getting PR. Social/business organizations. 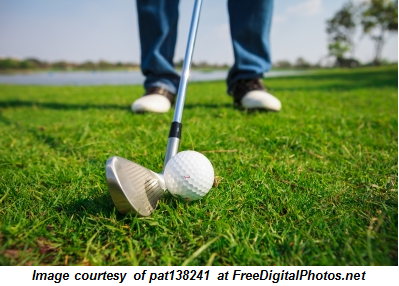 They combine social activities with business or networking. Online networks. Includes groups such as Ecademy, LinkedIn and Ryze, which are social networks for businesses. Women’s business organizations. They are non-threatening groups for women to increase business. Many also allow men. Don’t let chance decide where you’re going to spend your time and effort. 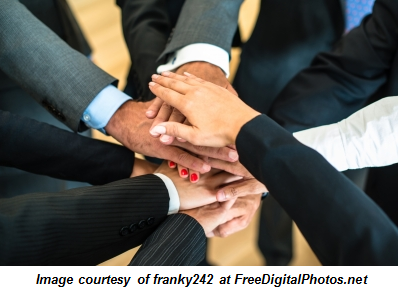 Diversify your activities and consciously select a well-rounded mix of organizations. If you have associates, partners or employees, consider their participation when deciding which groups each of you will target. I am attending the Global Networking Conference in Kuala Lumpur, Malaysia, this week. 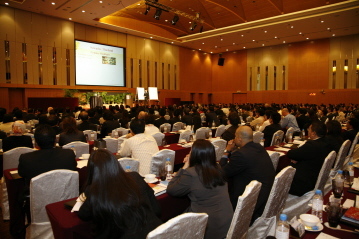 Roughly 550 people from more than 22 countries are attending the event. It has convinced me that “thinking globally and acting locally” is no longer true for entrepreneurs. We are living in a global economy, and it is becoming easier and easier to do business around the world. When a local dentist (Dr. Fay Yunus) can give an international referral, you know this is true. This is a GREAT VIDEO showing the power of local business networking in a global community! I’ve been working with a group of authors since January of this year, and quite a few of them have been contributing some great networking articles to a subscription website I’m affiliated with called NetworkingNow.com. I was actually referencing that website when I named this blog and it occurred to me recently that many of my blog readers might not even know about the site, so I thought I’d let everyone know what it’s all about. NetworkingNow.com is a site where you can gain instant access to dynamic networking information via the web and learn the most successful strategies to build your business through networking. 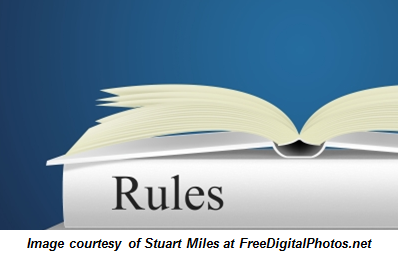 The site offers dozens of downloadable PDF articles, MP3 audio files and digital books as part of its downloadable library. Subscribers receive full access to the wealth of online and downloadable content, which is refreshed monthly. Check out the site and, if you think you might be interested in joining the NetworkingNow.com community of networking expertise, try it out for free for 30 days. I love hearing feedback from my blog readers, and I would really like to hear your feedback on NetworkingNow.com. That’s why I’m inviting all of you to experience this free trial subscription to NetworkingNow.com. To take advantage of the offer, go to NetworkingNow.com, click “subscribe now,” select the 30-day subscription, and enter “free30days” in the coupon field. Your first 30 days will be free, but if you want to continue after that you’ll be billed at the monthly subscription rate. By now, most people have heard of the phenomenally successful movie The Secret, which talks about the Law of Attraction and how it can be used to change lives. The Law of Attraction has been used for thousands of years by some very successful people. Jack Canfield, originator of the Chicken Soup for the Soul Series and a good friend of mine, is one of them. 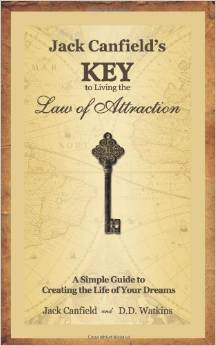 He appeared in The Secret to teach about the Law of Attraction, and now he has written an excellent book called Jack Canfield’s KEY to Living the Law of Attraction. One of the reasons I really recommend this book is because it cuts to the chase and focuses on things such as clarity, purpose and action–things that are crucial to be successful in business and life. A lot of other books I’ve run across that talk about the Law of Attraction have way too much of a “New Age” feel. For entrepreneurs like me, that just sends me running the other way. I want straightforward, clear-cut facts and explanations, and that is exactly what you’ll find in Canfield’s new book. He tells you not only what you need to know, but what you need to do in order to attract what you want in your life. In other words, he gives you the simple steps that can help you implement the Law of Attraction, and he doesn’t fill the pages with a bunch of far-fetched fluff. As I sat on a plane bound for Orlando, Florida, this week, I began sorting through a stack of books that various authors have sent me as gifts, and I came upon the updated version of Susan RoAne’s How to Work a Room. I immediately had to smile because Susan has been a friend of mine for quite some time. Anybody who knows her can tell you that she not only knows how to work a room, but she knows how to do it with what she calls “charm and chutzpah”–in other words, she is one funny lady! I looked around at the other passengers surrounding me on the plane, some with their nose buried in a book or a magazine, others closing themselves off to any kind of communication by leaning back with their eyes closed and cranking up their iPod; and I thought, Susan could walk right up to any of these people and have them laughing and talking in a matter of minutes. Some people, like Susan, are born networkers; but for most people networking is a skill that has to be learned. 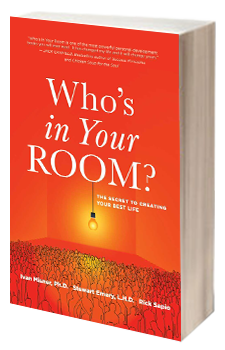 I would encourage anyone who isn’t necessarily known for having undeniable charm or chutzpah–but who often walks into events, meetings, conferences, or parties wanting to ease into meeting the people he or she doesn’t know–to pick up a copy of How to Work a Room. 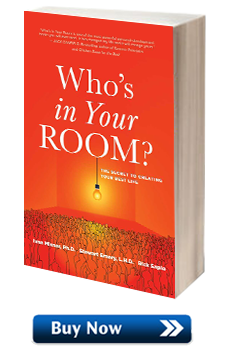 The recently updated version offers practical strategies for mingling, interacting, schmoozing and building common bonds. 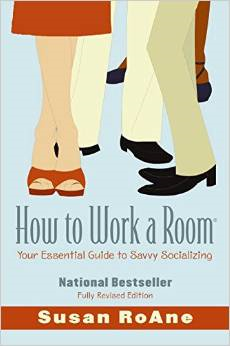 It includes chapters on roadblocks and remedies, preparation, small talk, specifc events–and how not to work a room. The basic social and business dilemmas are the same as when the book was first published, but (judging from the countless iPods, Bluetooth devices, laptops and other technological gadgets that I observed people devoting every shred of their attention to in the airport and on the plane) it’s easy to see that technology has changed, giving us more opportunities to be rude. Susan addresses how those breaches could impact our careers, businesses and reputations, and offers some great suggestions on how to avoid and overcome them. I read a book awhile back called Solutions Focus by Mark MerKergow and Paul Z Jackson, and it really struck a chord with me.I ran across some of my notes from the book yesterday as I was organizing my desk (no small task, I might add), and I think that networking groups everywhere–and businesspeople in general–can greatly benefit and gain a higher level of success from learning to maintain and exhibit a solutions-focused attitude.As MerKergow and Jackson say, it’s the most effective way to naturally promote and build cooperation. However, it’s amazing how many people have a problems-focused attitude instead. They assume that in order to achieve greatness, they first must pinpoint everything that’s wrong and lacking in the situation and channel all of their energy into fixing it completely. Focusing on solutions helps create resonance. You’re focused on what works rather than what doesn’t. With this approach, it is important to remember that sometimes the art of creating resonance is knowing what to overlook. If you try so hard to achieve excellence that you attempt to immediately work through every little problem that comes up, you’ll become frustrated and overwhelmed. Instead, focus on two or three things at a time–pick the things that need the most urgent improvement. 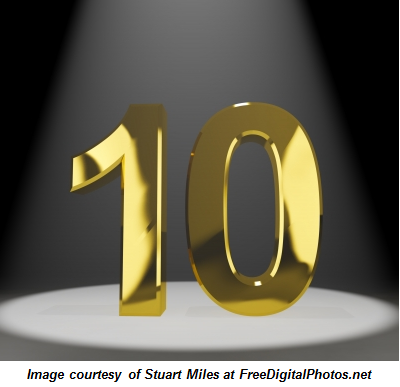 Inevitably, those things will positively impact the next 10 problems you have. • Think of actions as starting something rather than stopping something. • Concentrate on small actions that can be taken now. • Focus your energy on what’s working. • Come up with specific and clearly defined steps that build on successes, not failures. • Focus on solutions, not problems! • Take incremental steps to build toward the solution. • Don’t fix what isn’t broken. • Find what works and do more of it! • Spot useful qualities and resources in action. • Be selective about solutions. The way to build cooperation is to focus on a positive-solutions focus to problems. When that doesn’t happen, you can almost always expect resistance. Most people I meet while networking think they’re great networkers, but a lot of them are still making some of the biggest networking no-nos in the book. I went to a local networking event this week and saw one guy blatantly trying to gather as many business cards as he could, never spending more than a minute with any one person. This type of behavior indicates that he only had one goal–to acquire a nice, big stack of business cards to add to his cold-calling stockpile. Confusing networking with direct selling, as this guy was obviously doing, is one of the biggest mistakes a networker can make! Here’s my list of the three biggest networking faux pas that no networker should ever commit. This one really troubles me. I can’t imagine getting a call from a networking partner and not responding immediately. Unfortunately, it happens with regularity. 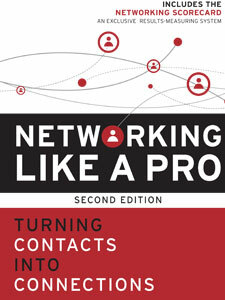 Networking is not simply about gathering contact information and following up on it later. That’s nothing more than glorified cold calling. It gives me the chills. I used to teach cold-calling techniques to businesspeople. And I did it enough to know that I didn’t ever want to do it again. Since then, I’ve devoted my professional life to teaching the business community that there’s a better way to build long-term business. I’ve seen people abuse relationships with their networking partners by misleading them and doing such things as inviting people to a “birthday party” that turns out to be a business opportunity pitch. Never mislead your networking partners in any way; for that matter, never mislead anyone. Trust is everything when you’re talking about relationship networking. You need to be honest with those whom you want to build a trusting relationship with. All three of these faux pas directly relate to good people skills. 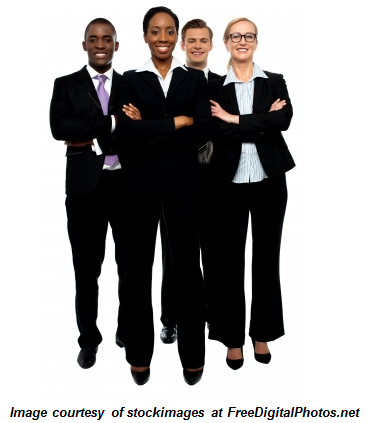 The prevailing theme is to treat your referral partners and potential referral partners with professionalism and care. Use networking opportunities to meet people and begin the process of developing genuine relationships. As you do this, treat your referral partner the way you would a top client. Finally, always network in a way that builds credibility and trust–be candid in telling your referral partners what you need and what you’re asking of them. Do these things and you’ll avoid some serious mistakes in relationship networking.